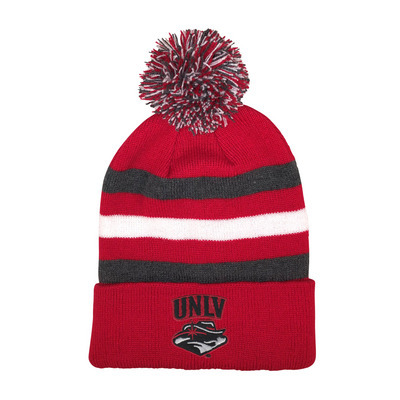 3 color striped knit hat with solid color cuff and 3 color pom. Junior, 310 years. 100% acrylic. Imported.